5/5 The art is absolutely breathtaking! The art reminds me so much of kimi ni todoke, probably going to be one of the best slice of life for summer 2014. I'm looking forward for this series, the main character is so lovable and cute. Plus the art is just perfect for me, been looking for an anime like this for awhile now. This seems like its going to be a pretty good one. 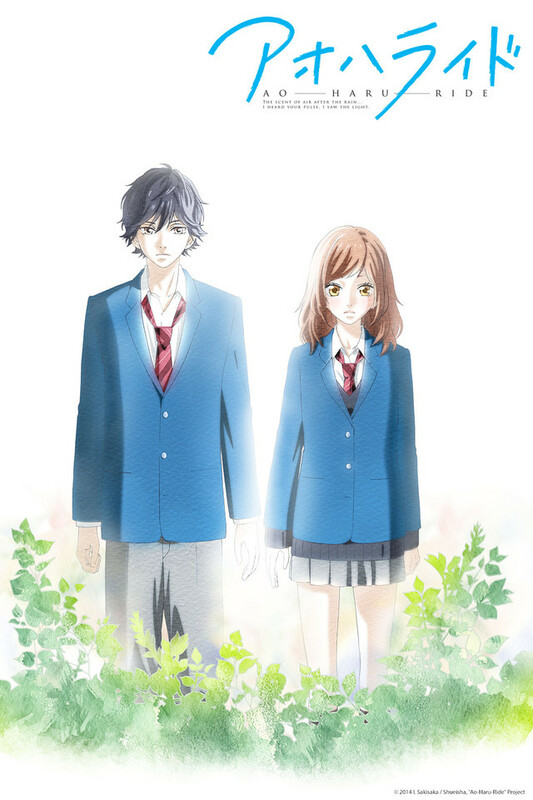 It shares a lot of the Kimi no Todoke series, and this first episode even gives me the thought that its going to be a lot like that with a new twist on the characters back grounds. The story is good and easy to follow, and the artwork is reasonable, with a lot of water color-esque. Here's what I think this is about: Girl meets boy in middles school, and then they move apart, and then they meet again in high school to discover that they've become different people... but maybe, not as much as they think. They will spend the season discovering who they are, and learning to be okay with that (and each other) again. Same old story, with a few new twists. Should be a good watch. As I said in the Title don't read this, and to just go watch it. This Show got me hooked on the first episode. I was going to read the reviews but i decided not to if i heard something bad about to, which is why i decided to watch it first before reading what others say. Well if you are going to read this just know that this show is not going to go with what you expect. The series starts with a flashback short story to set up the story in real time. What seemed like a great match for love becomes a questionable yet hopeful romance between the hero and heroin. I do wish the characters were less typical looking. The artwork is great and character development and choreography is well thought. The two have their reasons for changing who they were but it may not stop them from falling in love with each other again. brings truth to slice of life/romance anime. i'm only 2 episodes in, but this anime has absolutely enthralled me, i honestly don't like romance animes very much because of how one-dimensional they are, but this one is completely different. high school life is depicted pretty truthfully and accurately, and futaba is perfectly relatable to other teenage girls. we all understand her desire to fit in even if she's not being herself, her desire to find the old tanaka-kun, her desire to find out who she is and make high school matter. this anime is serious without being melodramatic but funny without being stupid, making it really enjoyable. the realness of the characters and the things they deal with and the brevity of the underlying themes set it apart from others of its genre, and on top of that, the art is absolutely gorgeous. i really can't wait to see the rest of this anime, and in the meantime, i'll be reading the manga! I started reading the manga first, while reading the manga I literally fell in love with it. The art is amazing, and the story line is cute. Futaba and Tanaka met in middle school, and they actually both liked each other, but later Tanaka moved because of family problems. But came back a few years after. (not gonna say anymore or I'll spoil :p) Great for romance lovers like me! I am so excited to watch the rest of the anime! I'm going along for the RIDE.... I LOVE IT!! I know this show is going to be awesome!! I'm in suspense every week waiting to see what is going to happen next. I almost jumped out of my seat upset when the midpart intersession came and I thought the episode was over. I'm no manga fan but i will definetly be looking this one up so that I can read it.